Jays Racewear was established in 1963. 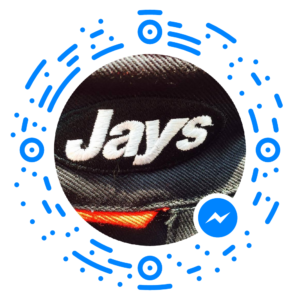 Since then Jays has successfully developed to become one of the UK’s leading manufacturers of racewear and flightwear clothing. We even supplied the orange X Wing Pilot suits back in 1976 for use in the first Star Wars film Episode IV (A New Hope)!!! Our FIA specification racing suits and flying suits utilise fabrics made from DuPont NOMEX® III Brand with 5% DuPont KEVLAR™ brand fibres. Jays Racewear operates a quality system approved to ISO 9001 standard. Jay’s parent company, Dale Techniche Limited, produces high quality protection fabrics. This gives Jays the ability to design and develop their own fabrics specifically for race suits to combine protection with lighter weight and improved comfort. Jays have complemented their clothing range with a selection of racing accessories. Our clients include ‘The Stig’ – as seen on ‘Top Gear’, MOD air display teams including THE RED ARROWS, BBC Top Gear, Bentley, Lola Cars, Team Xero, Sir Jack Brabham, Historic Grand Prix Car Association,, Donnington Park, BRDC, Zip, More International, Metropoitan Police, Jaguar, Radical Cars, Formila Student, Rollcentre Racing, Ralph Firman, Skoda, Richard Branson and Virgin, Ecurie Ecosse, Palmer Sport, Team SYR, Martin Brundle, Martin Donnelly, Tony Jardine, Land Rover, Rowan Atkinson, Stig Bolmqvist, Morgan Motors, Octagon, Rockingham Raceway, BAE, Barwell Motorsport and many more…. If what you are looking for is not listed on our site, please ask! As manufacturers, Jays can offer customised garments for teams, promotional events or corporate use. Jays Racewear can also personalise existing garments, please contact us for more details. Thank you for joining Jays Members Club please remember to add sales@jaysracewear.co.uk to your approved senders list to prevent emails from going into spam.